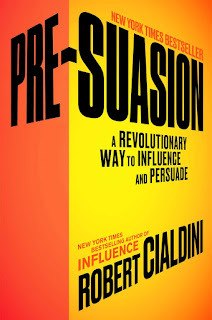 Robert Cialdini is credited with changing the way marketing worked with the publishing of his best seller Influence. Published 15 years ago, Cialdini has continued studying what makes people do what they do... and this latest book records what he thinks are the must important changes. An area I particularly like is the discussion of preloading a situation - in NLP terms, this might be called anchoring. Basically by predisposing someone to a particular view you can influence their decision and predict the answer. If you are involved in anyway with marketing this is a must read.